Ham is a favorite entree for Easter dinner, and there are many great wines that pair perfectly with this extra-savory meat. Favorites include white wines like Gewürztraminer and Riesling, while red wine-lovers can enjoy a good Zinfandel or some really lovely blends. 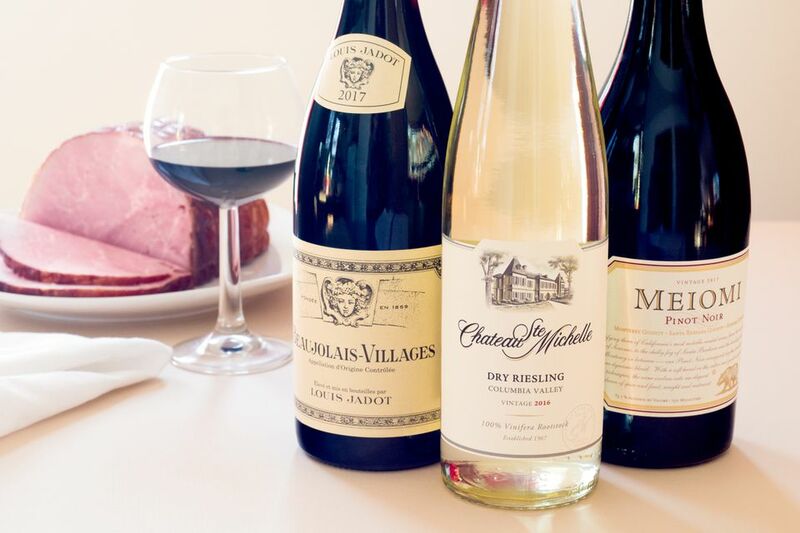 Whether you're going with a traditional baked ham or trying something new this year, set your holiday dinner table with one of these bottles of wine, and all of your guests will be happy. One of the best ham and wine pairings you will find is Gewürztraminer. It's a zesty wine that's perfect against the sweet-salty meat. 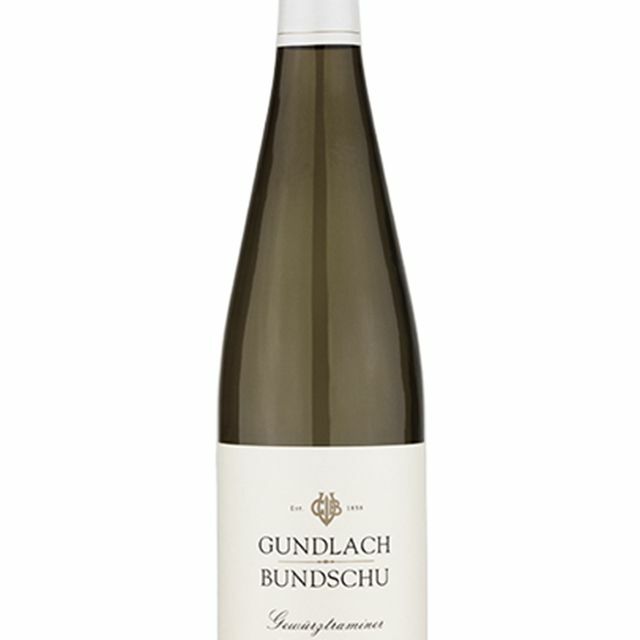 A great option from California's Sonoma Coast is Gundlach Bundschu Gewürztraminer. At around $22, it's one of the more affordable bottles of this style, offering a bright, dry white wine with the ideal acidity. While it would work with any recipe, a honey butter ham would be a perfect fit, especially if you add herbs to the glaze. The next top style choice for ham is Riesling, that lovely, refreshing white wine that has a crisp elegance. A beautiful bottle that is also incredibly affordable (just $10) is Chateau Ste. Michelle Dry Riesling, made from Columbia Valley grapes. The Washington state wine is easy to find and has a brilliant acidity marked by notes of apple and lime. Try this with something brightly flavored, such as an orange-glazed ham. This California table wine is a particularly splendid match for baked ham with pineapple. The fruit is one of the signature notes you'll find in Chateau Souverain Chardonnay, and if there is a bottle that sings "spring," this is it! This full-bodied California white also entices with layers ranging from roasted pears to soft spices. It's more luxurious than its $13 price tag implies, and offers flavors that even those who prefer red wine will enjoy. Rosé wines cannot easily be classified under one particular taste profile. Those from the Côtes de Provence AOC in France are known for being the driest and among the best. They're excellent candidates for food pairings, and Domaine Turenne Camille Rosé is a gastronomic delight as well as a great value at right around $13. This stunning pink wine is a blend of red wine grapes (Cinsault, Syrah, and Grenache). Your guests will appreciate its elegant peach and apricot flavors, as well as the winery's minimal intervention, which allows you to taste the wine in its natural form. Have fun pairing this bottle with a unique ham recipe, like grilled orange ginger ham, complete with Dijon and apricot preserves. For a red wine that is light-bodied and approachable, turn to those produced in France's Beaujolais region. An excellent pick is Louis Jadot Beaujolais-Villages, which is made entirely of the area's dominant Gamay grapes and sells for a very reasonable $12. It's a juicy wine that is moderately dry, led by dark cherries and strawberries with a very nice spice. To keep the French theme going from wine to plate, look for a Bayonne ham. You can pair it with a classic French recipe like baked ham with spiced apples and pears. Easter is a special holiday, and when you want to splurge ($30, at most), Jermann Pinot Grigio would be a really nice wine for a simple spiral glazed ham recipe. This Italian white is a classic example of Pinot Grigio, encapsulating a fresh, smooth taste that is perfectly dry. It also holds a zesty array of fruits, from apples to citrus, with a little honey and ginger to keep things interesting. For a red wine adventure, pair your ham with The Chocolate Block. It's an intriguing blend of five grapes from South Africa that is as vibrant as it is dark, and well worth the $30 plus price tag. This one has a classic dry style with rich chocolate, spicy wood, and dark fruits balanced by an ideal acidity. This bold red would be an excellent choice when brown sugar-glazed baked ham is on the menu. If you are longing to serve a Pinot Noir at your Easter table, you're in luck! Meiomi offers a dreamy California red that will deliver exactly what you're looking for. This bottle is priced in the $25 range, and the wine is luxuriously complex — a testament to the grapes sourced from three famous wine-producing counties. You'll find notes of bright, jammy fruit along with a touch of vanilla and oak. This is an excellent choice if you're opting for a mustard-glazed ham. Even a simple ham dinner can benefit from a little sparkle, and this $12 bottle from Stella Rosa can offer it wonderfully. Rosso is a semi-sweet red wine that's delicately effervescent, offering perfect refreshment for the spring holiday. The red berry flavor has long been a favorite to bring to the table, and may quickly become your go-to as well. Have fun with this one, and serve it alongside a unique baked ham with cola-infused maple syrup glaze.